THERE WERE “CLEAR similarities” between this month’s crash of an Ethiopian Airlines Boeing 737 MAX plane and a Lion Air plane crash last October, the French civil aviation investigation bureau has said. An Ethiopian Airlines Boeing 737 MAX 8 went down minutes into a flight to Nairobi in Kenya earlier this month, killing all 157 people on board, months after a Lion Air jet of the same model crashed in Indonesia killing 189. This comes as Boeing said today that the flight stabilisation system under scrutiny following two deadly 737 MAX plane crashes met all US regulations. “The 737 MAX was certified in accordance with the identical Federal Aviation Administration requirements and processes that have governed certification of all previous new airplanes and derivatives,” Boeing said. Boeing and regulators are facing increased examination over the stall prevention system, MCAS, which authorities have said was likely a factor in deadly crashes in Indonesia in October, while the crash in Ethiopia earlier this month showed similarities. The French civil aviation investigation bureau BEA has concluded there were “clear similarities” between the Ethiopian Airlines and the Lion Air crashes. The French bureau said that black box data from the Ethiopian Airlines flight showed the links and will be used for further study. 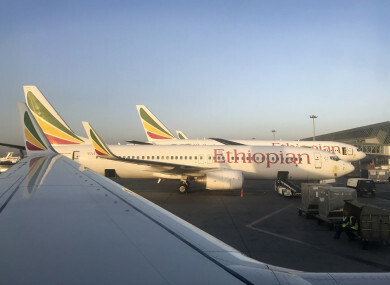 Since the Ethiopian crash, questions have been raised not only about Boeing, but also the FAA and its close relationship with the company. Investigations into the Lion Air crash in October implicated the MCAS, which can erroneously force the plane down when the autopilot is engaged if it detects the plane may be at risk of a stall. Both crashes happened shortly after takeoff. American pilots had complained of the flaw. However, Boeing has been working on a software upgrade to the system and issued new instructions about how to override the issue in the meantime. Under a programme, known as the Organization Designation Authorization (ODA), employees of Boeing are accredited by the FAA to assist in approving the aircraft – including design, production, flight tests, maintenance and other systems – as well as signing off on the training procedures of pilots on new planes. Email “'Clear similarities' between both Boeing 737 MAX crashes, French experts say”. Feedback on “'Clear similarities' between both Boeing 737 MAX crashes, French experts say”.